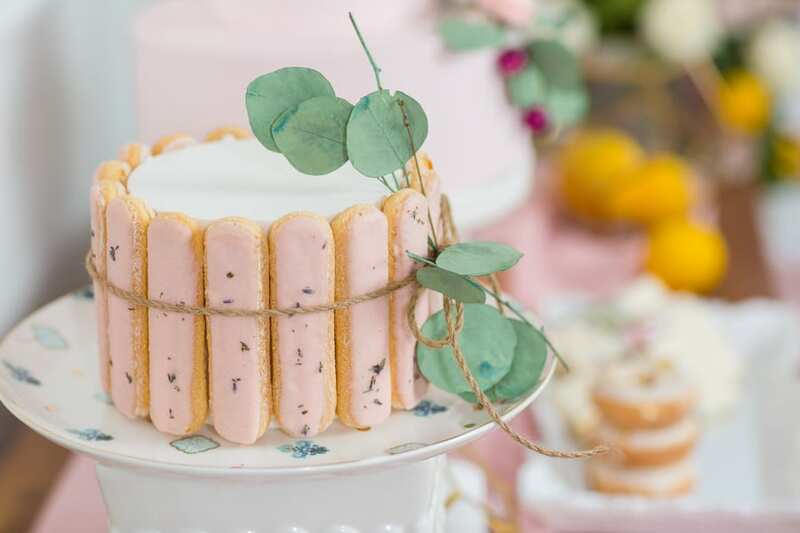 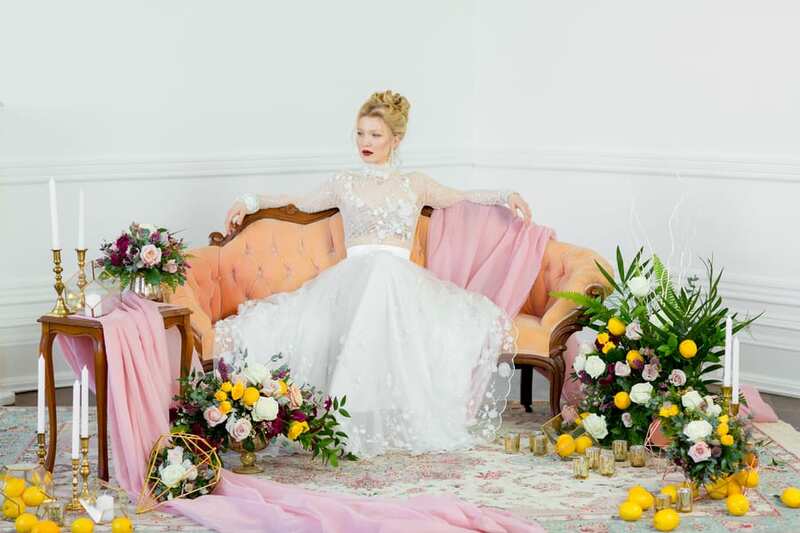 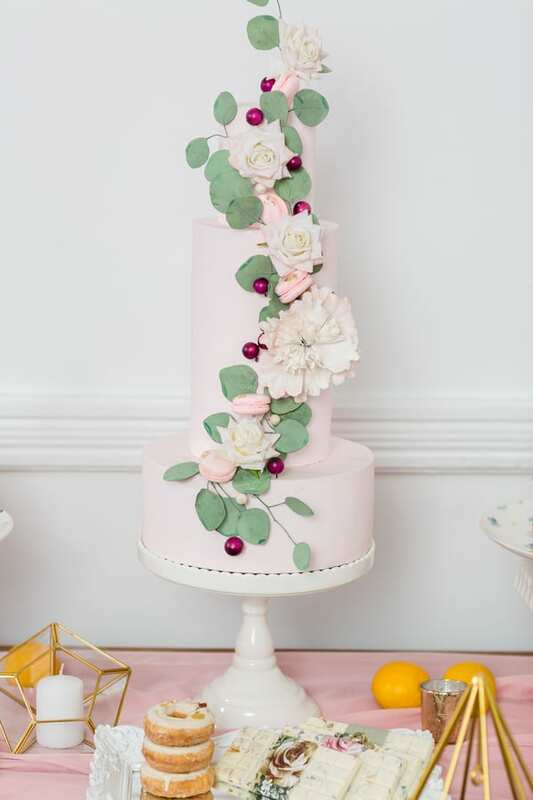 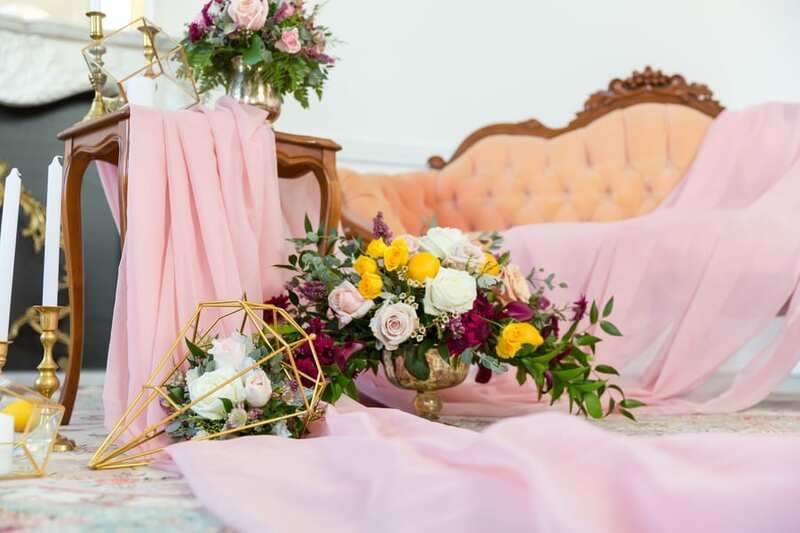 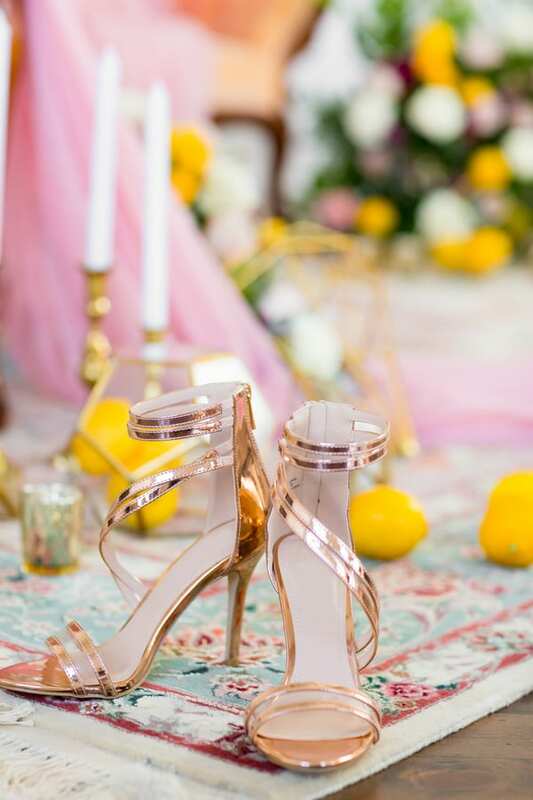 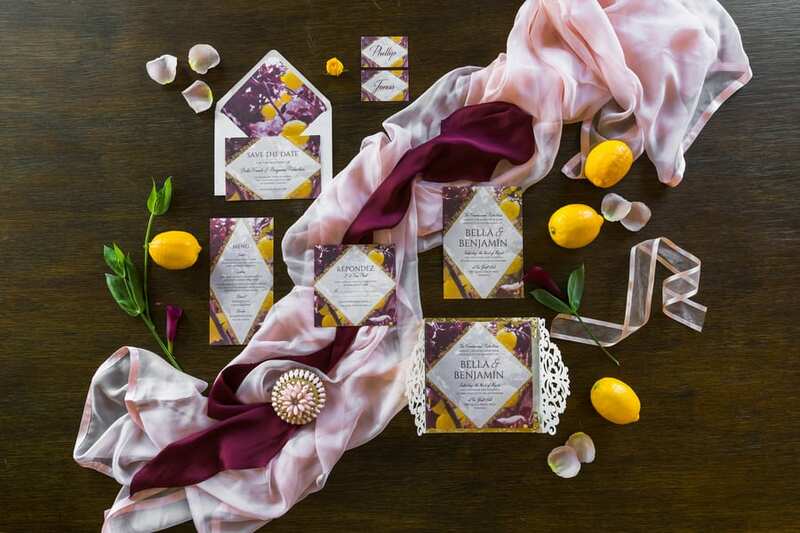 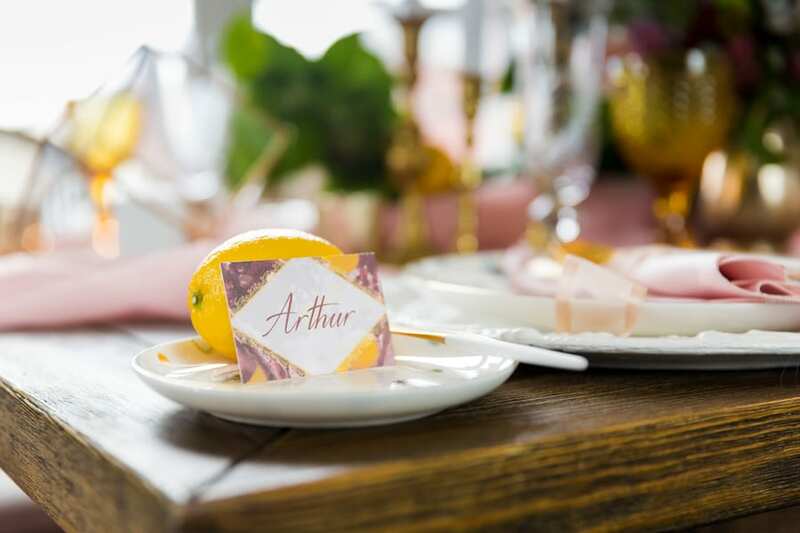 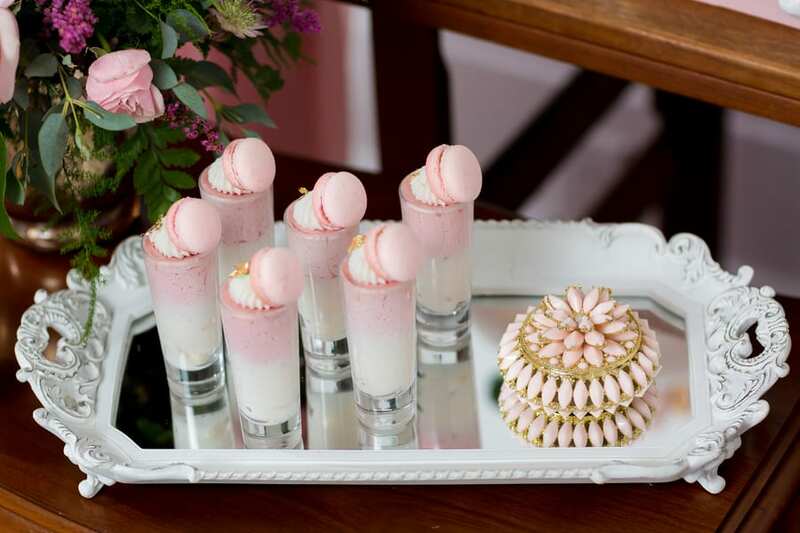 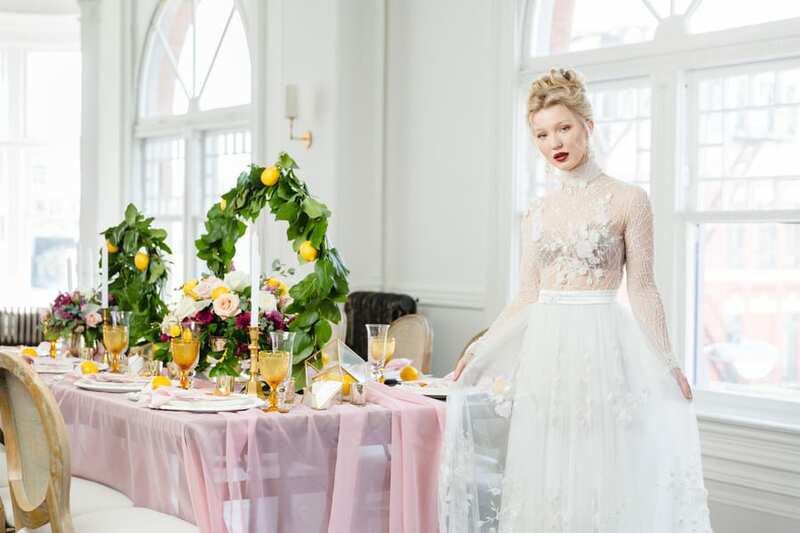 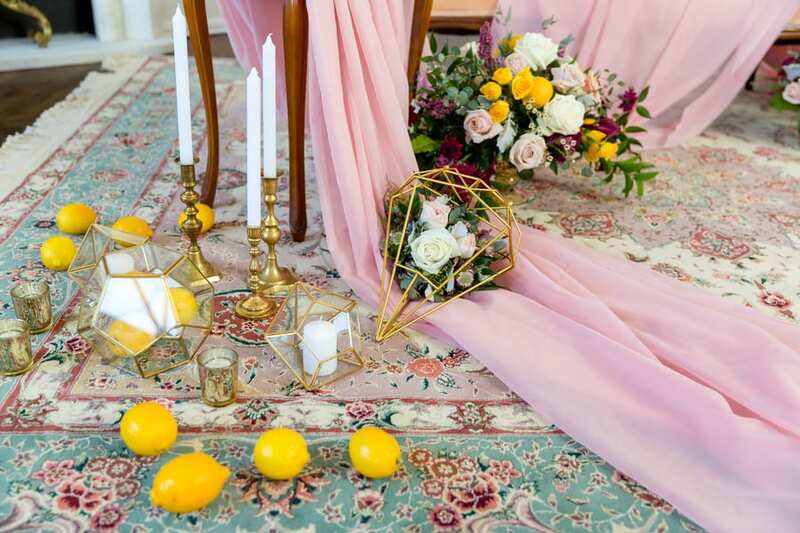 Splashes of lemon, ethereal light, and hints of pink call to mind the beginning of spring in this styled shoot by Motion D Photography. 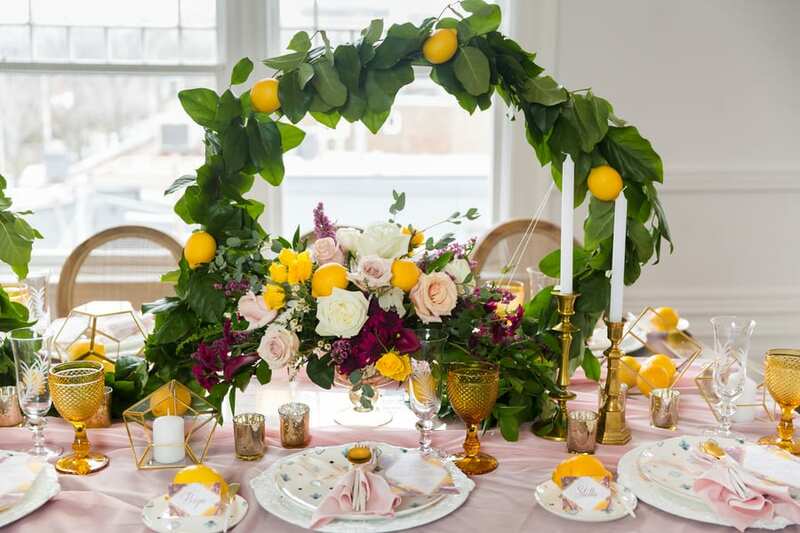 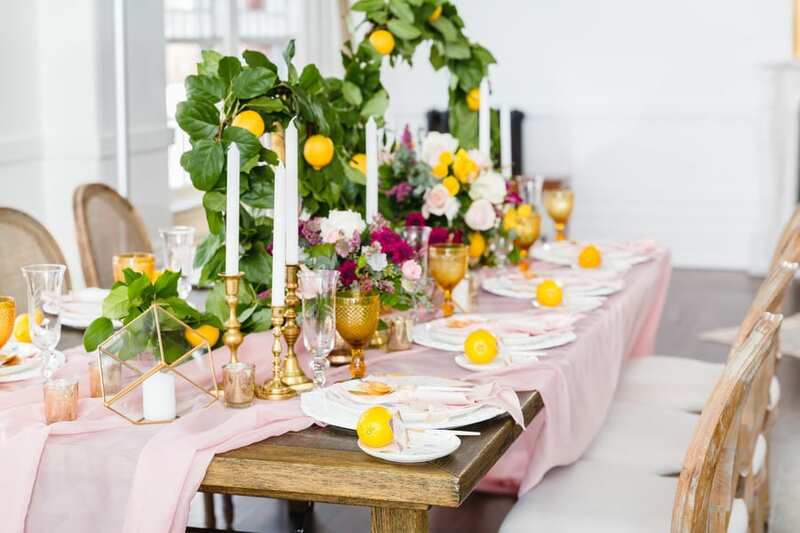 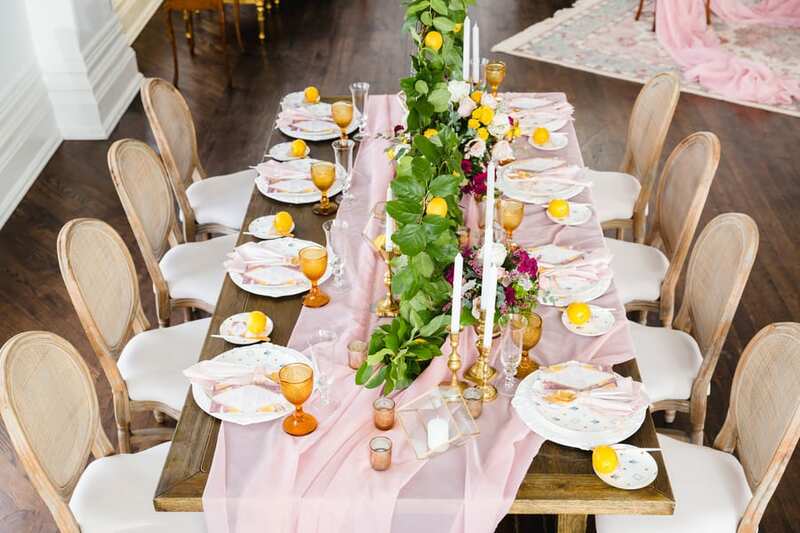 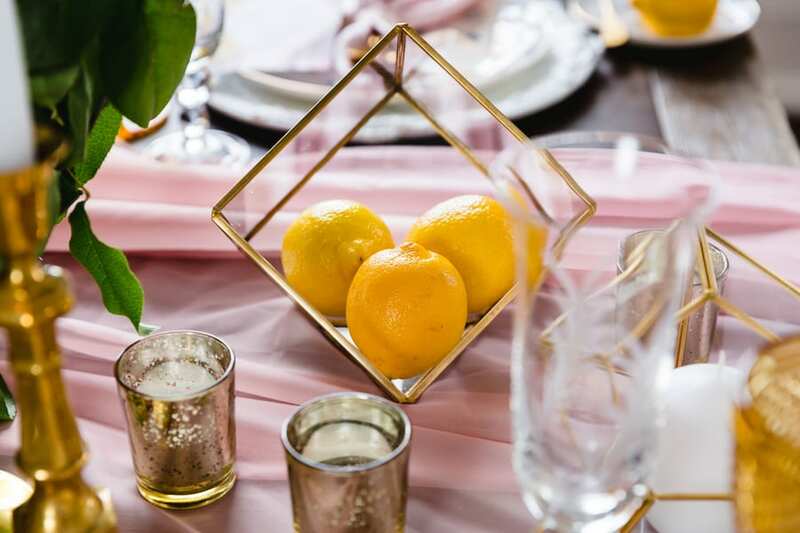 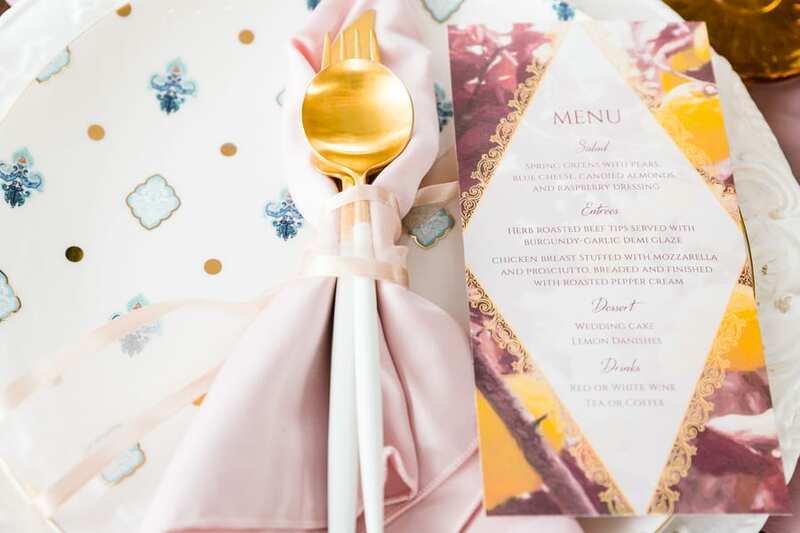 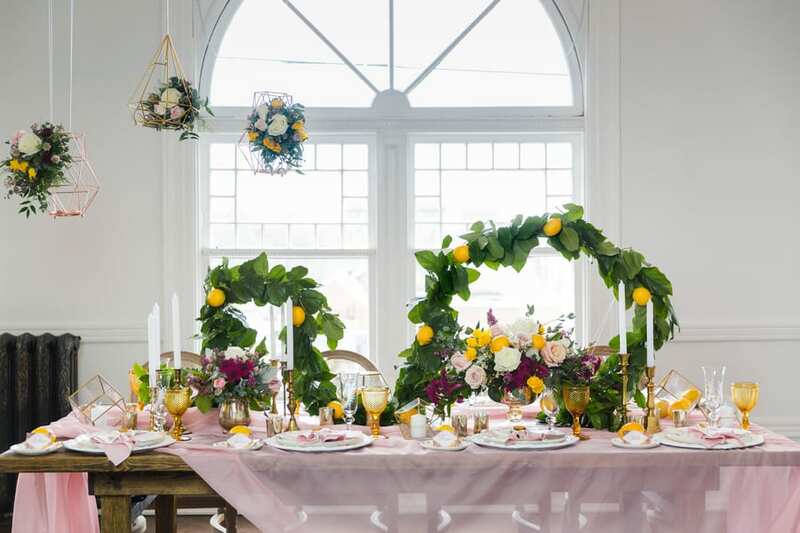 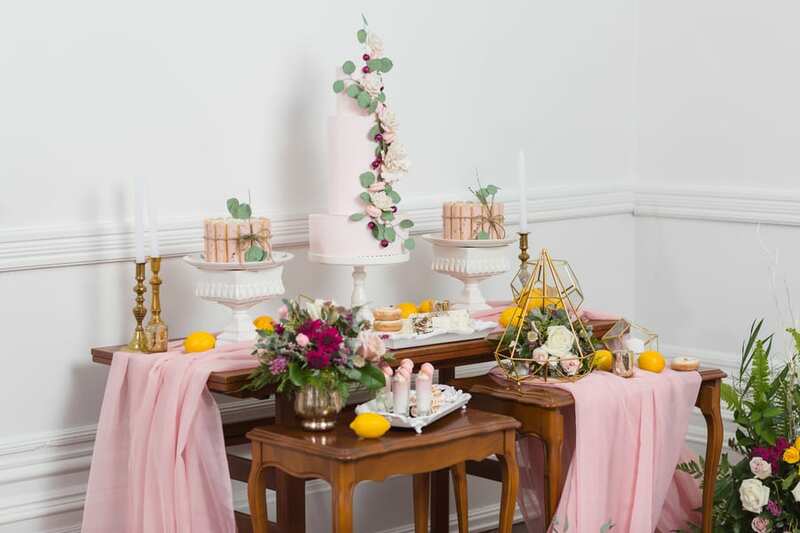 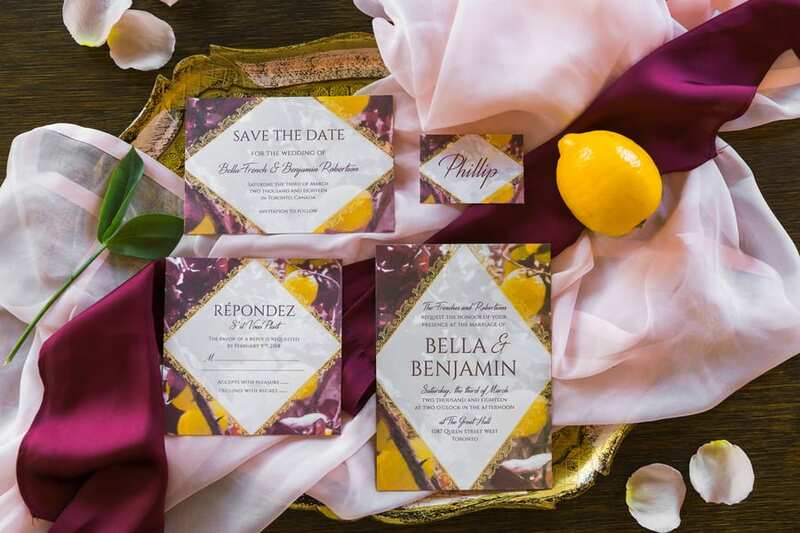 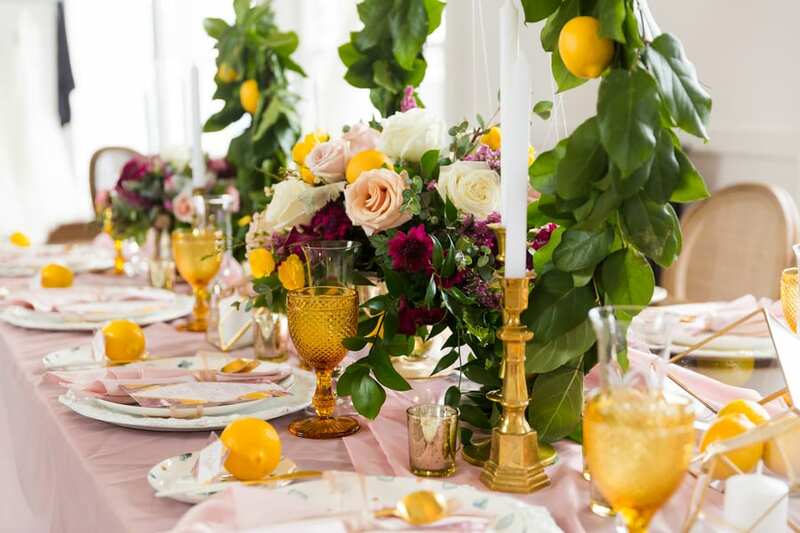 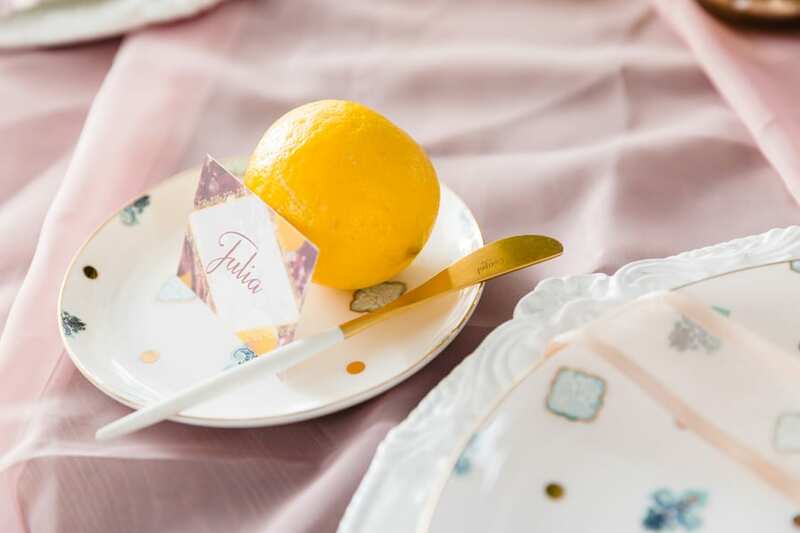 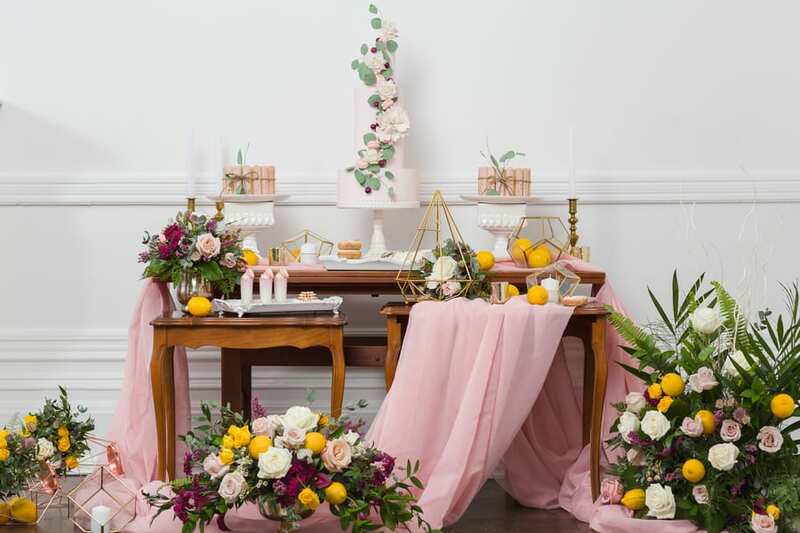 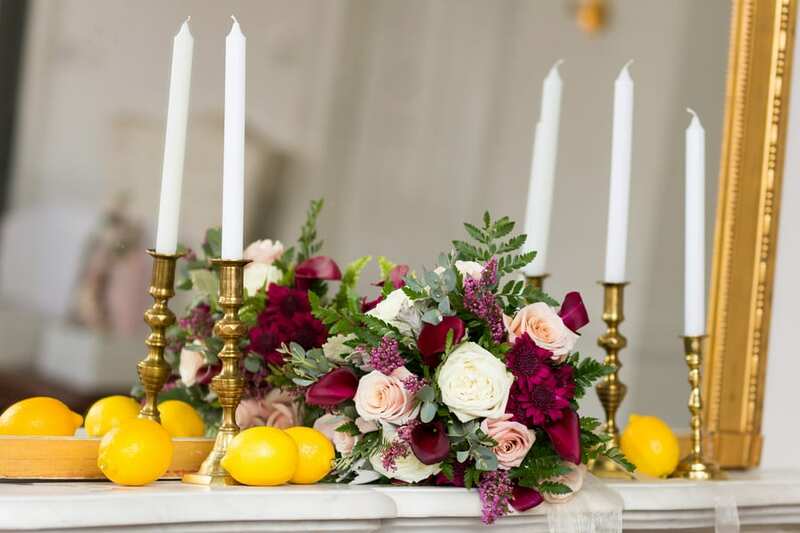 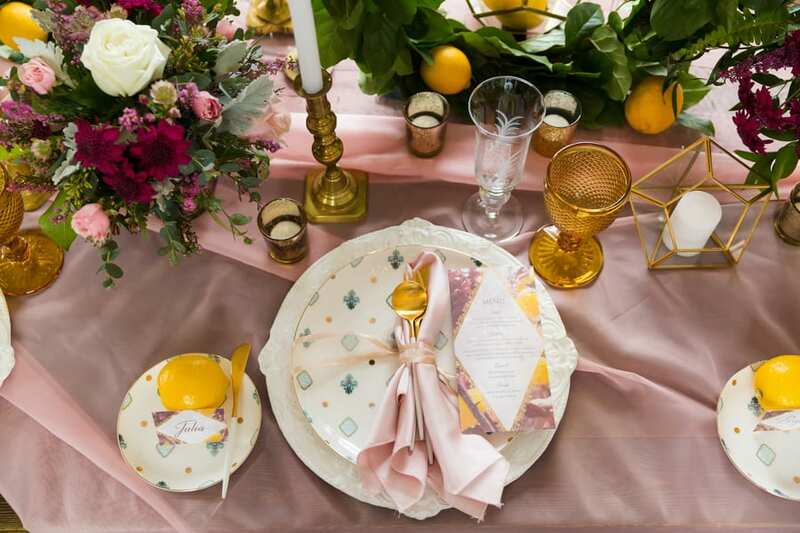 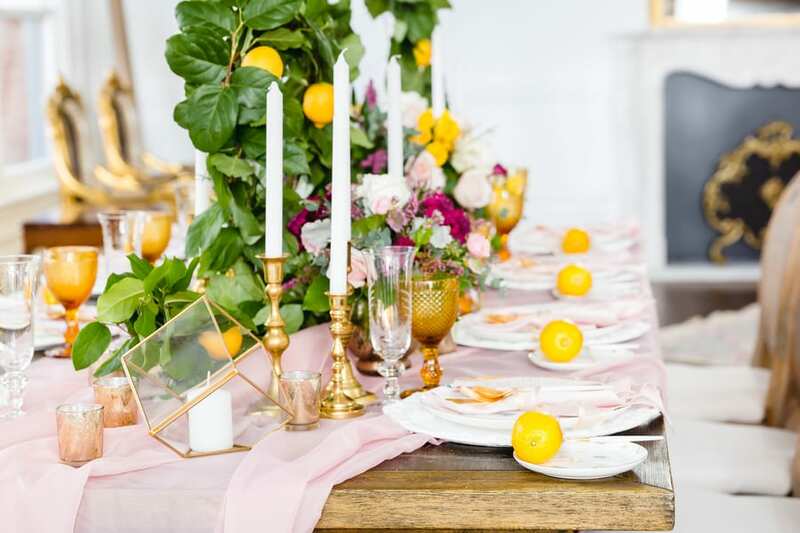 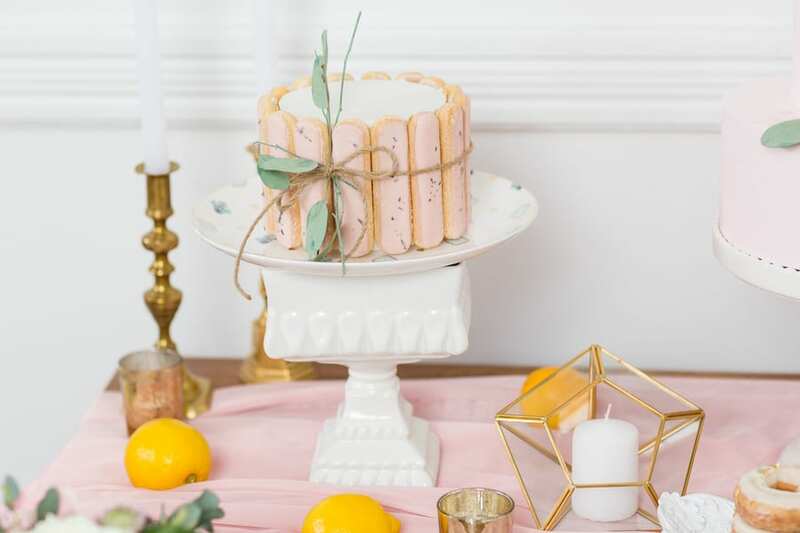 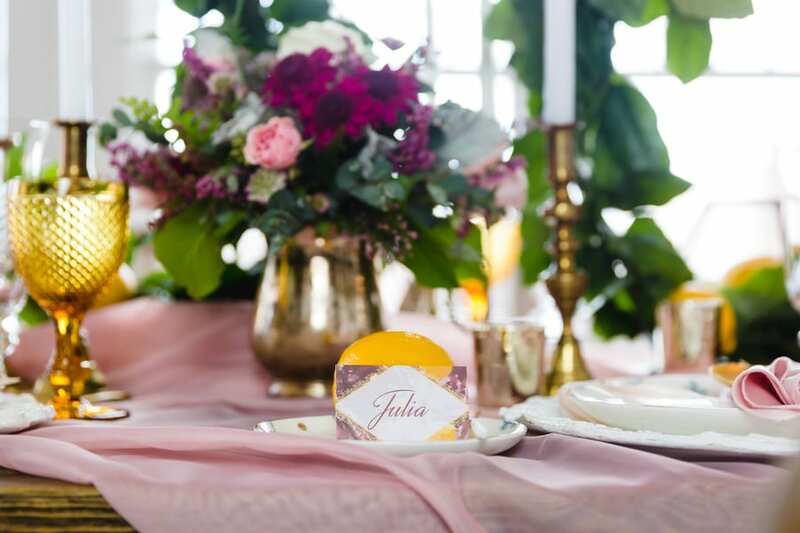 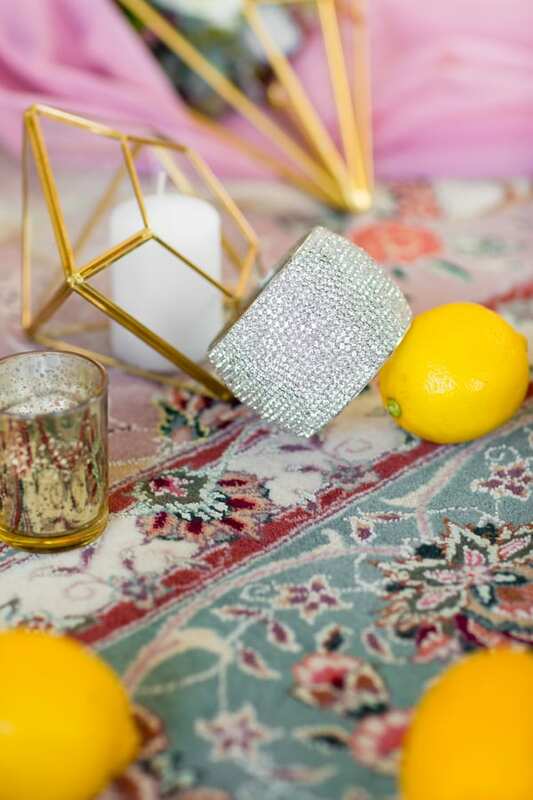 French country wicker chairs and a distressed wood table is married with a diaphanous pale pink table runner, yellow gold candlesticks, and a vine adorned with lemons. 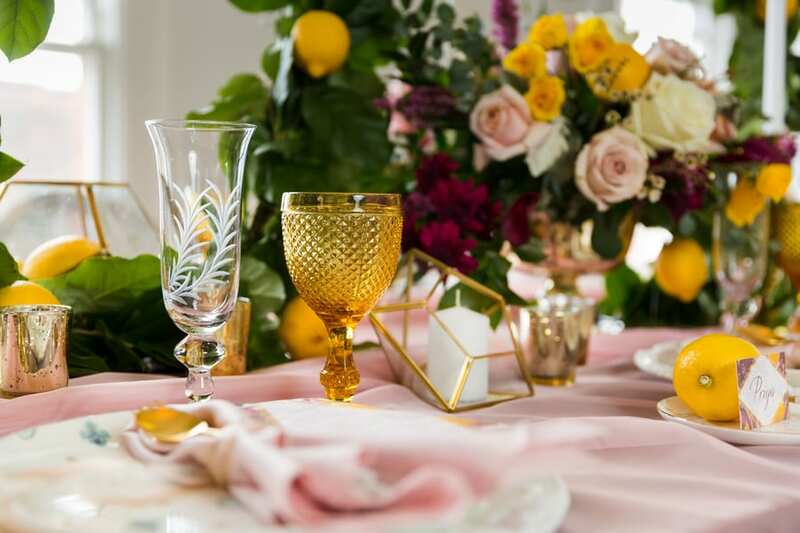 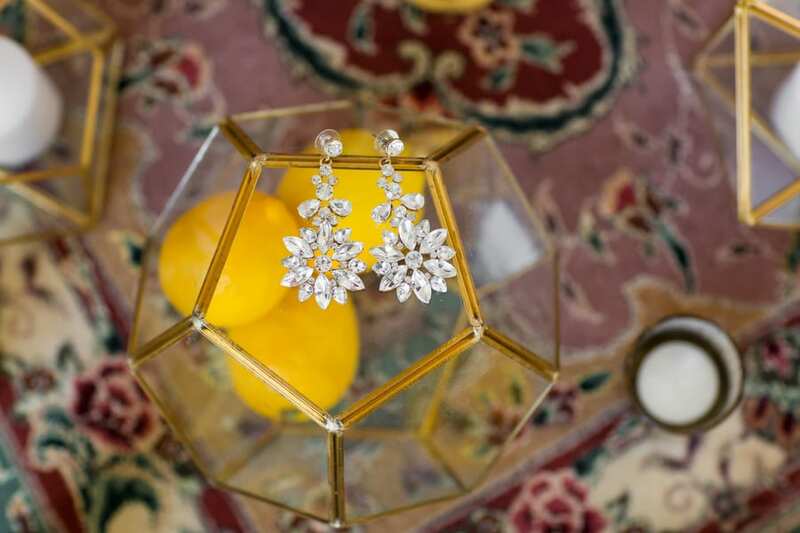 Touches of metallic can be seen in candle holders and goblets. 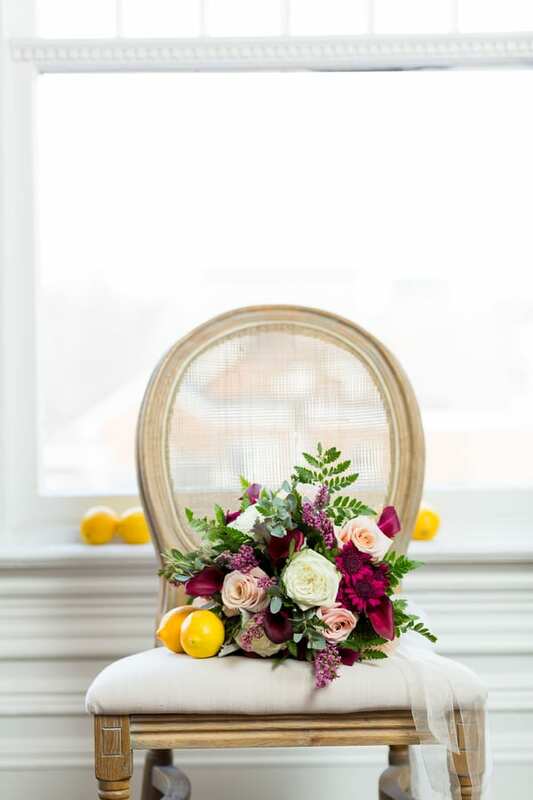 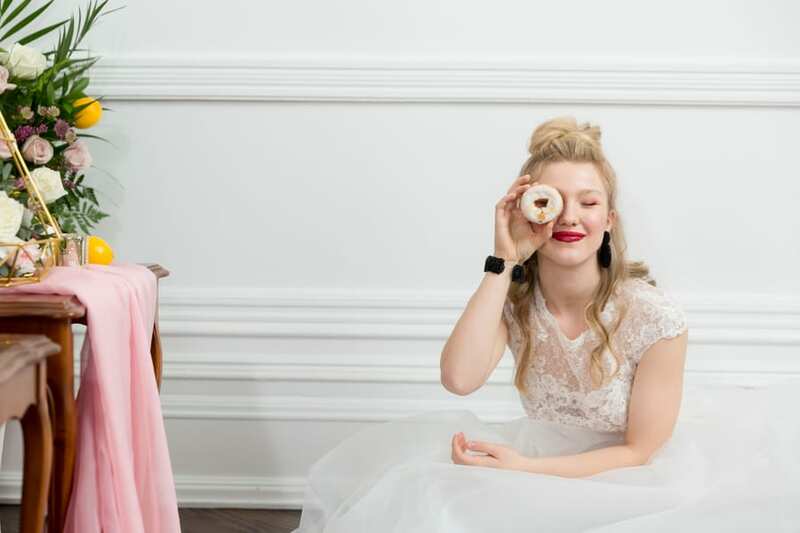 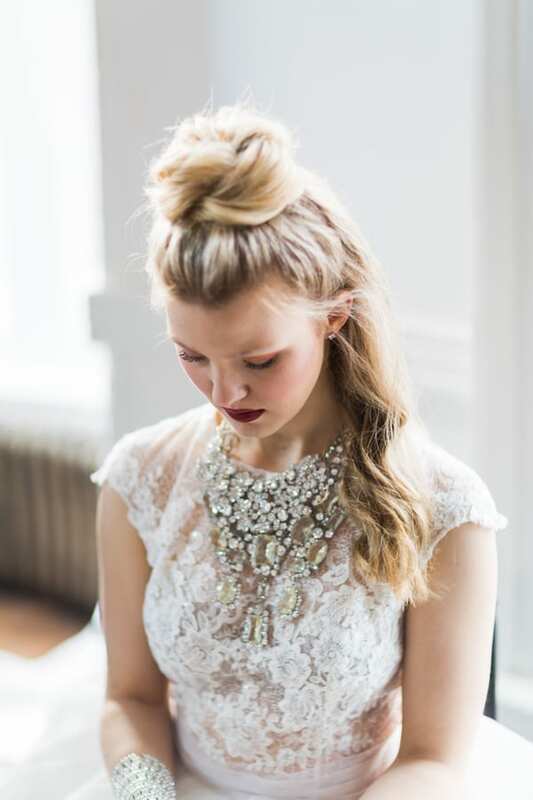 Like the table arrangements, the bride has an almost magical quality: bright red lips make for a shocking pop of color against a neutral face and twisted top knot. 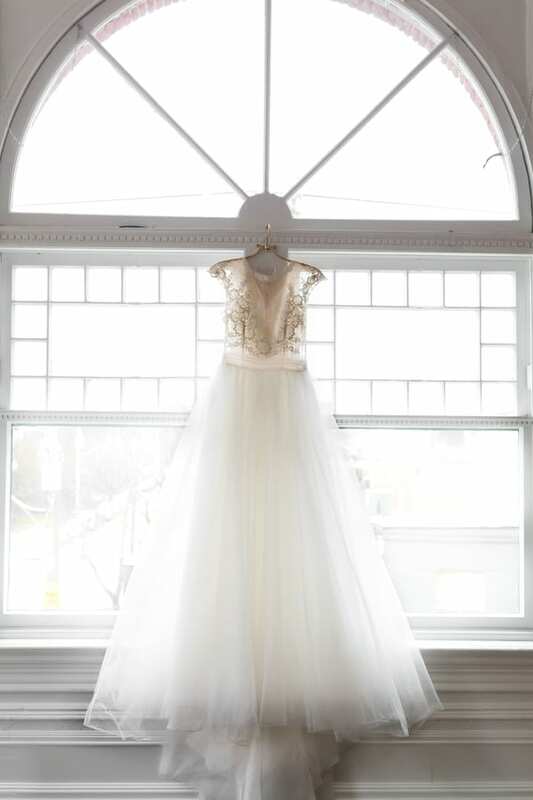 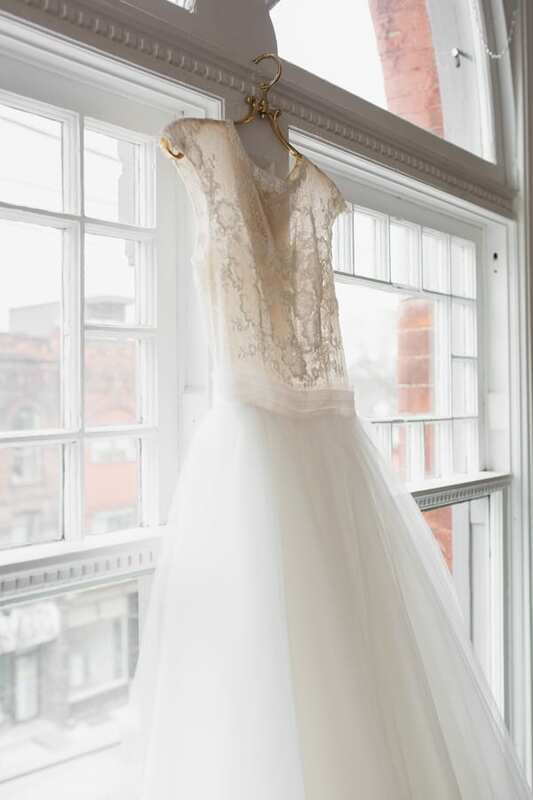 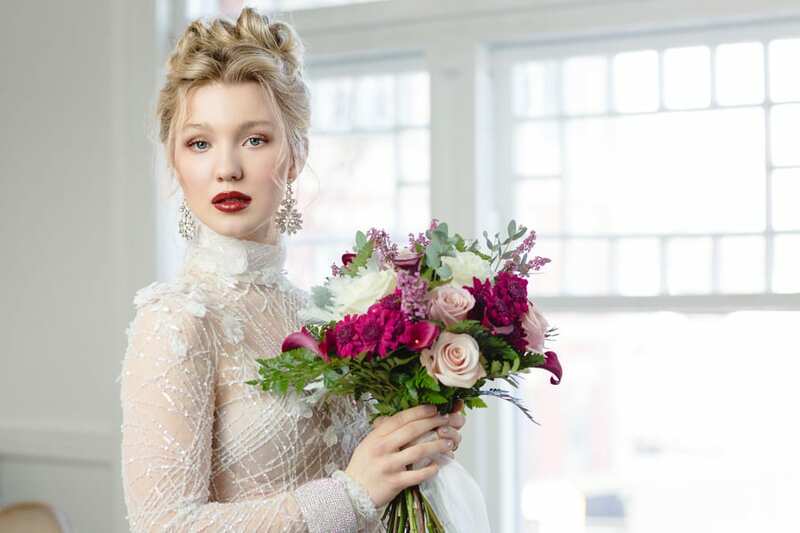 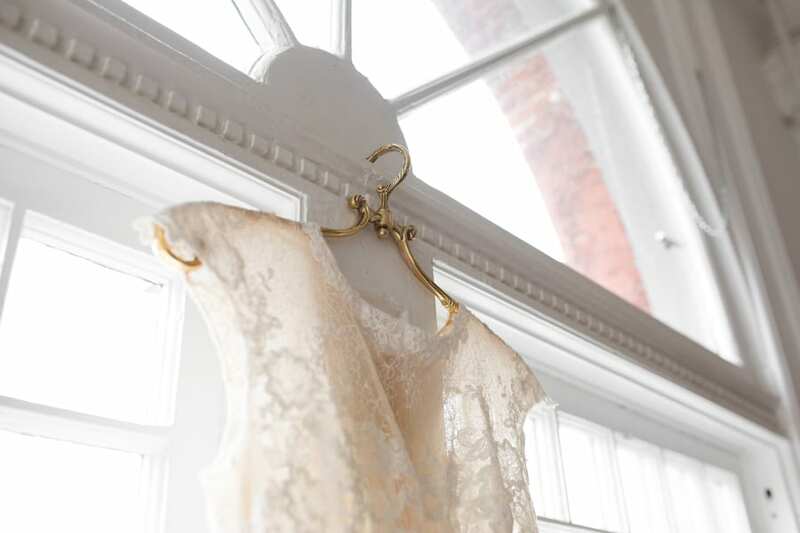 An ivory chiffon gown features an embroidered, flowing skirt, and a netted sleeve illusion bodice with a high collared neck and barely there chemise. 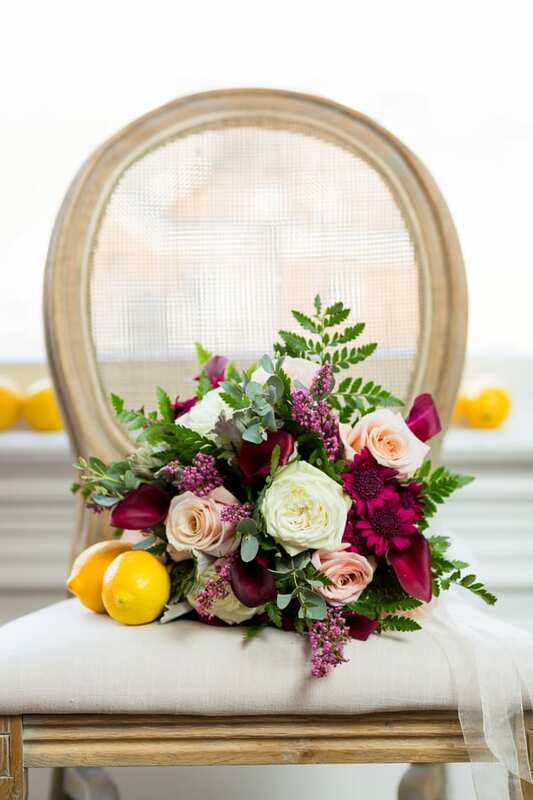 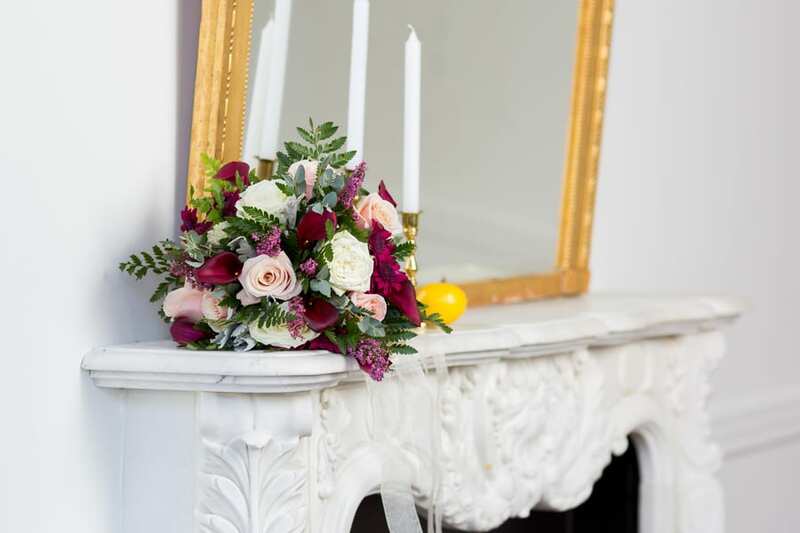 The bridal bouquet? 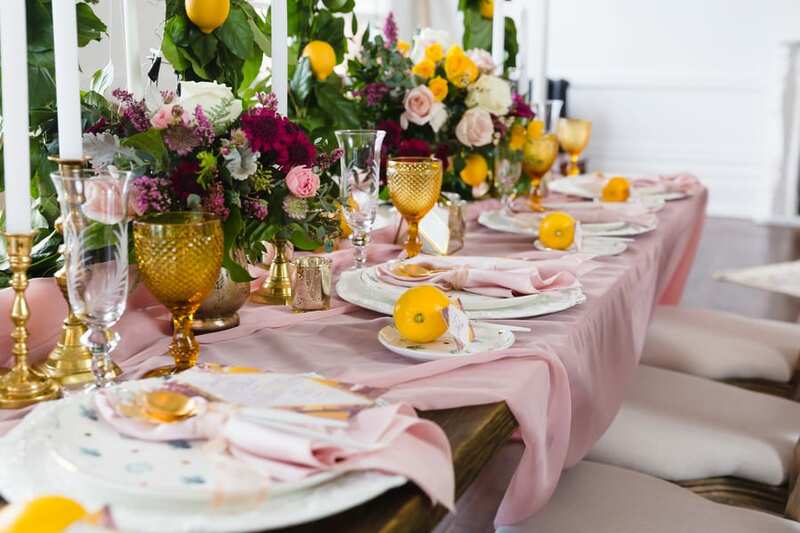 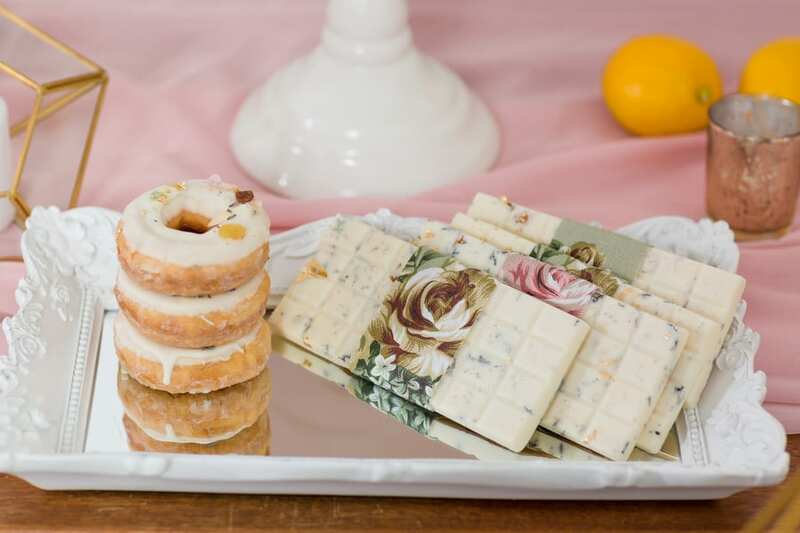 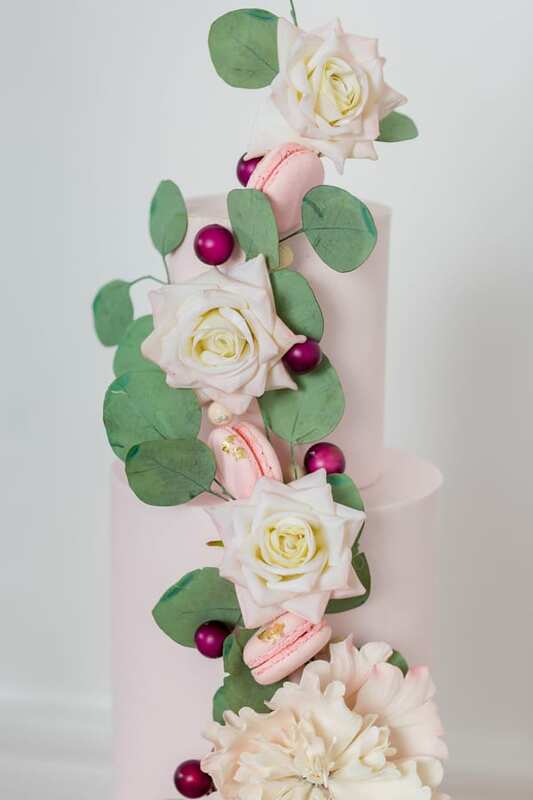 The same spring hues with a similar pop of color: fuschia wildflowers and daisies add a flair of brilliance to the gentle pink and white roses.